When the Boston Bruins signed veteran goalie Jaroslav Halak during the summer, the motivation behind the move was to not only provide the team with a quality backup netminder, but also to find someone who could push starter Tuukka Rask. However, fans did not expect for the latter to make the announcement he did on Friday. General manager Don Sweeney met with media on Friday to reveal that Rask had been granted a leave of absence from the Bruins. He also requested for the respect of the player's privacy at the moment. The announcement says Rask's leave is effective starting today. The 31-year-old has a 4-4 record so far this season with a 3.05 goals-against average and a .901 save percentage. He entered Thursday's loss against the Vancouver Canucks to replace Halak in the second period and allowed three goals on 14 shots. 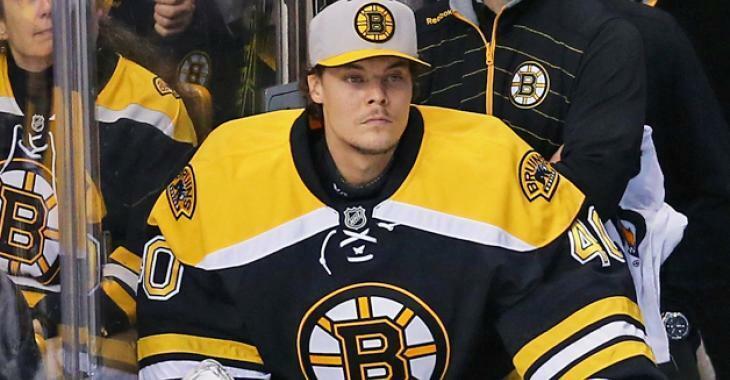 “I was just trying to keep it under 10 [goals allowed] -- that’s what I was worried about," Rask said after the 8-5 loss. "But yeah, you know, like I said, a loss is a loss, it doesn’t really matter at the end of the day. It was kind of a crazy game both ways. A lot of goals scored and at the end it looked like everyone was napping in the crowd. It was just one of those games where there wasn’t a whole lot of action on either end -- low shots and all of a sudden it’s 5-3, 8-5 whatever. On top of this news that will surely shake up the roster, Sweeney also announced that young defenseman Charlie McAvoy has been in concussion protocol since October 18th. While the defender is making process in his recovery, a timeline for his return has not been established. “He’s been in protocol since [the Edmonton game] and is progressing - no timeline [on a return] but making progress," indicated Sweeney. The Bruins aren't sure exactly when the hit happened that cause the concussion symptoms, but McAvoy did skate again in past few days.